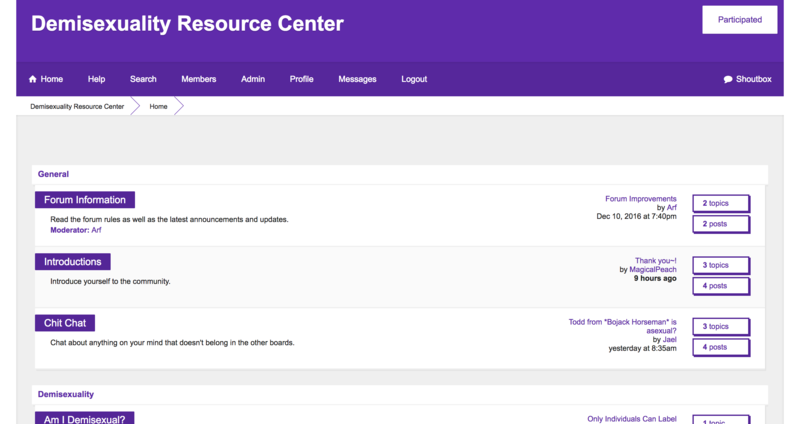 Welcome to the Demisexuality Resource Center! Demisexuality is a sexual orientation in which one feels sexual attraction only after forming an emotional connection. I’m guessing you found this website because you think you might be demisexual, know someone who is, or just want to read more about it. I have a selection of informative Links for further learning, and will be adding more resources as I find them. If you’d like to talk to me further or submit feedback, click Contact. To learn more about me and this website, click About.